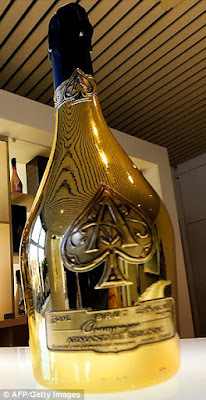 Timbaland refused to perform at a fundraiser for water-plagued Flint, Michigan, because he was served the wrong champagne, it has been claimed.The music producer reportedly asked for Ace Of Spades, a particular brand of bubbly designed by Jay Z, to be served in the dressing room of the Detroit event raising money to buy bottled water for residents. Instead he was served Dom Perignon - and that was enough to lose his contract all together. 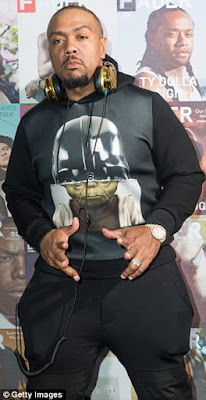 According to the New York Daily News, Timbaland drank every drop of the champagne, tequila, vodka, cognac, and disaronno that he had requested but refused to perform his 30-minute DJ set because of the champagne mix-up and simply stood in the venue nodding his head. A lot of Michigan residents felt disappointed that he didn't perform and started to curse him, so he took to IG to try to explain what happened but no once could decipher what he tried to say.